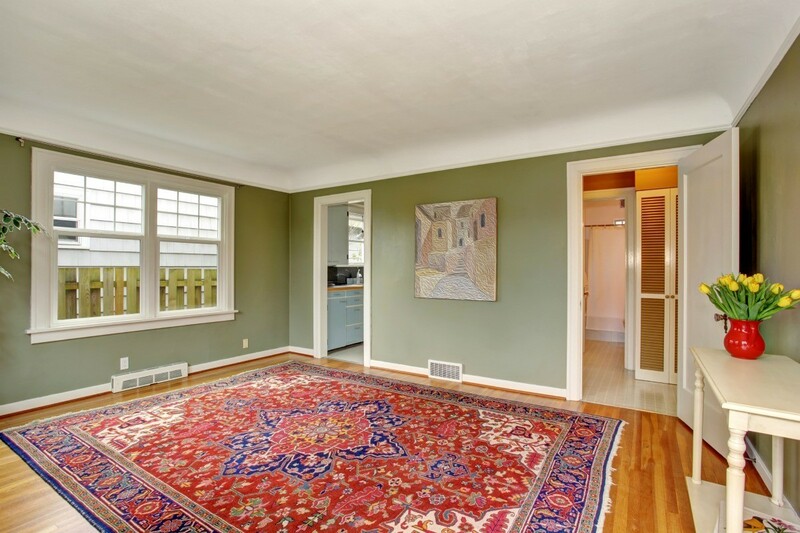 There are many methods for cleaning a large area rug, from steam cleaning, to power washing. Learn how to clean an area rug in this guide. How do you clean a 10x12 carpet? Thank you for all answers! I have had great success using a power washer on my large area rugs. I lay it out on the driveway where I proceed with the power wash. To speed up the drying process, roll the carpet from end to end. Then stand it up on it's end. This will drain the water out quicker and will make it easier to move in a shorter period of time. How do I get a red stain out of carpet? It is a large area rug. If it's a natural "organic" stain like wine or juice use peroxide. Just spray or pour it on, wait 15 minutes then repeat and blot. No need to rinse. The peroxide will fizz the stain away. It's simply amazing! This will not work with a food dye like Kool-aid or Jello. I have a large, room-sized area rug that really needs to be cleaned and I have no idea how to go about doing it. Does anyone have any suggestions? This thing is so big that it won't fit in even the largest of machines at our laundromat. I have no idea what to do. I want it cleaned soon, as our daughter is getting married in early June and I want it to look nice with all the people we will have coming. How Do you clean a large area rug? About your rug, sometimes there are places you can send your rugs out to be cleaned. I'd recommend hanging it outside and beating it to get most of the dirt out of it. That's the really old fashioned way. You may be able to clean it with some of that dry carpet cleaner. That works pretty well and will freshen it up. Take your area rugs to the car wash to get them super clean! I have done this numerous times with a helper and a truck, and know others who do the same. It's amazing to see the dirt run out off the rug! Then roll them up and load them onto the back of a truck. At home lay the rugs out to dry on the grass or on a sturdy fence.